Abuja, 5 June 2018. 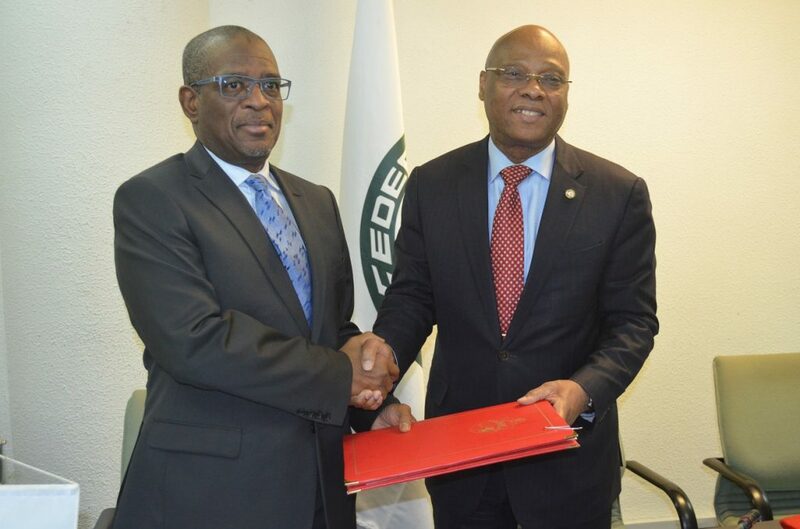 The President of the Commission of the Economic Community of West African States (ECOWAS), Jean-Claude Kassi Brou, and his counterpart from the West African Economic and Monetary Union (UEMOA), Abdallah Boureima, signed a memorandum of understanding on Monday 4 June 2018 in Abuja, Nigeria, on crisis and conflict prevention in West Africa to support UEMOA’s early warning and surveillance mechanism and to strengthen ECOWAS’s early warning and response mechanism (ECOWARN). 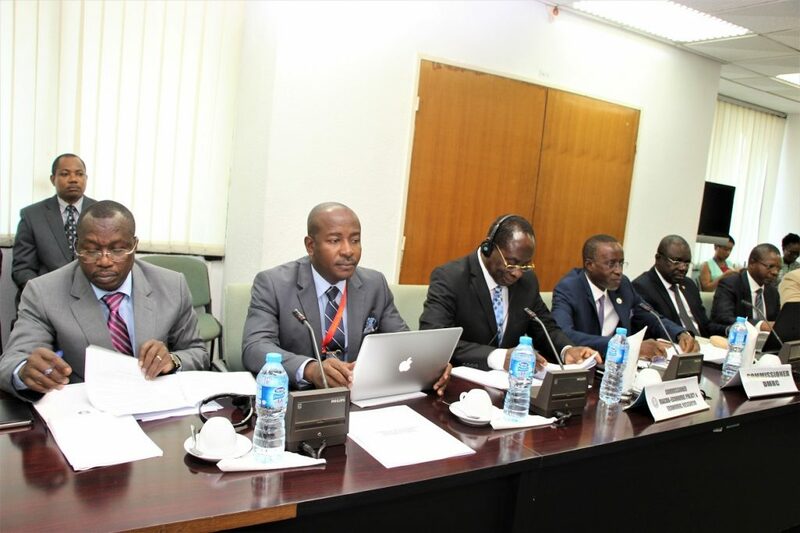 The signing took place on the margins of the 17th session of the ECOWAS-UEMOA inter-institutional meeting, attended by the presidents of the two institutions, the Commissioners responsible for convergence issues and forty experts from the Joint Technical Secretariat (JTS), from 30 May to 4 June 2018. This meeting, which forms part of the cooperation agreement signed between the two institutions on 5 May 2004 in Abuja, afforded their leaders the opportunity to review the convergence process of the organisations’ common development programmes and create the necessary conditions for better coordination of the different sectoral programmes piloted by them. It also gave the two leaders the opportunity to discuss joint projects relating to the implementation of sectoral policies on regional infrastructure, agriculture, taxation, harmonisation of legal texts, customs code, trade liberalisation scheme and construction of joint border posts. Discussions also focused on the status of negotiations on the Economic Partnership Agreement (EPA), implementation of the 10th EDF Regional Indicative Programme (RIP) and prospects for the 11th EDF RIP. On competition, Mr Brou and Mr Boureima noted the negative impact of the coexistence between two laws on competition in the same Community. They instructed the relevant departments of the two institutions to take necessary steps to harmonise the two laws within three months. With regard to streamlining the bodies responsible for implementing the regulatory texts on inputs, they urged the two Commissions, in collaboration with the Permanent Inter-State Committee for Drought Control in the Sahel (CILSS), to convene a meeting for the implementation of the Input Supply Agreement by November 2018. Concerning the EPA, in view of the challenges arising from the non-signing as part of the regional integration process in West Africa, the two presidents decided to include this item on the agenda of the next session of the ECOWAS Authority of Heads of State and Government, for guidance with respect to the 1 January 2019 deadline for the entry into force of the two Interim Agreements. On education and culture, they directed the technical departments of the two Commissions to continue their efforts with a view to making student mobility and curriculum harmonisation a reality in the ECOWAS region, on the one hand, and on the other hand, to honour their commitments as regards the joint organisation of the ECOFEST cultural meeting at a date to be mutually agreed. In relation to cooperation with the European Union, the two presidents noted the acceleration of the implementation of the 10th EDF RIP signed in November 2008, as well as the significant levels of commitments made under the 11th EDF RIP. 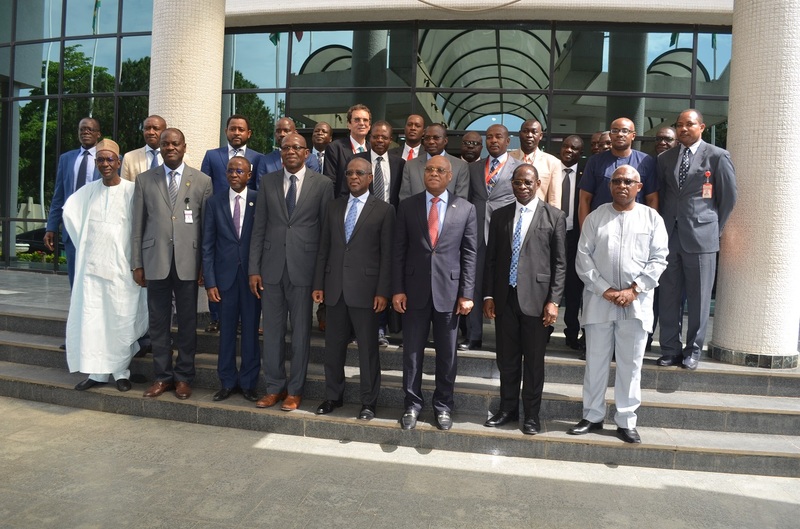 In the area of ECOWAS-UEMOA legal cooperation, the heads of institutions called on the technical departments to define, no later than the end of September 2018, a single legal framework for the West African Charter on Small and Medium-Sized Enterprises (SMEs). On the issue of the inventory of Community texts adopted by the two institutions, the two leaders instructed the technical departments to take the necessary steps to organise the technical meeting no later than the end of September 2018. 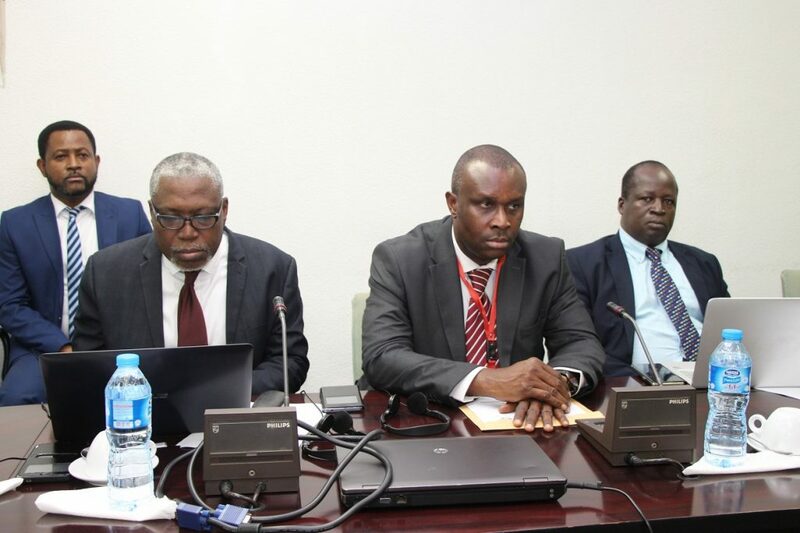 With regard to air transport, they requested the technical departments of the two Commissions to hold a meeting with a view to formulating recommendations for the harmonisation of texts, taking into account international standards and good practices on the subject. Under infrastructure projects, they noted that the highway projects represent a major integration tool, and will help to address the challenges of fluidity, road safety and transport facilitation. Consequently, they recommended that the technical departments of the two institutions share experiences and adopt common standards for highway development, maintenance and operation. It should be noted that this 17th meeting is being held in the context of the implementation of the provisions of the Cooperation and Partnership Agreement signed between the two institutions in May 2004, with a view to strengthening and harmonising the regional integration process. 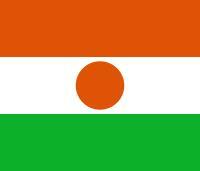 This Agreement also provides for biannual inter-institutional meetings, to be held in Ouagadougou or Abuja at the headquarters of the two Commissions. The next meeting is scheduled for November 2018, at a date and venue to be agreed upon by the parties.